Dance the night away in the luxurious upstairs lounge where music takes center stage. 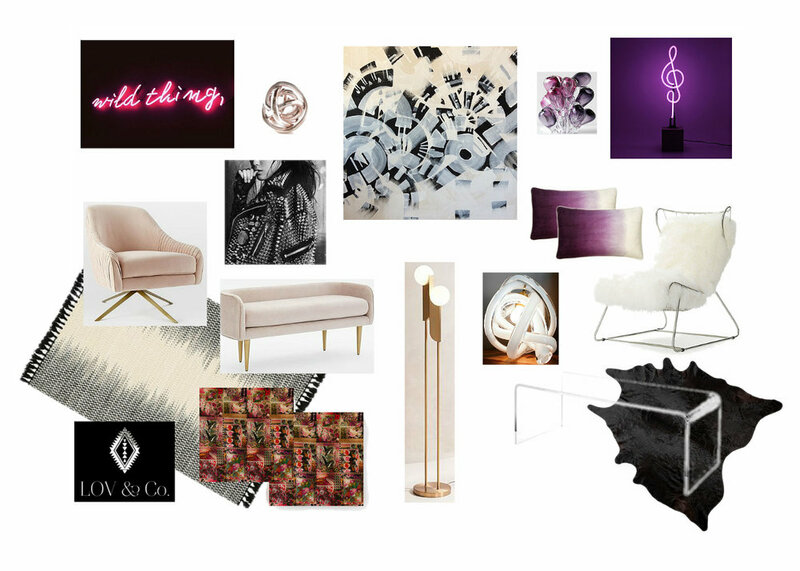 A mix of modern and classic design elements meet to create a fanciful space with notes of blush pink and deep purple. Rock & Roll, Love Songs, Punk Rock and Western genres all inspired LOV & Co.’s soulful and fresh design story for this year’s ShowHouse Santa Fe.